There are so many things to see and do in Falmouth! 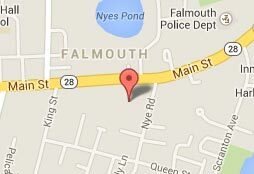 Use the controls on the map below to navigate our interactive map of Falmouth local attractions. Click on a placemark to reveal more information about that attraction. Zoom out to see even more things you can do in the Falmouth and Woods Hole area! The Mariner’s exceptional location allows for an easy walk to the ferry to Martha’s Vineyard, restaurants/pubs, shops and Falmouth Commodores baseball games. Come park, relax and enjoy all that Falmouth, the Cape and the Islands have to offer. Please see our directions and interactive map.